When you’re working with a healthcare client that’s national in scope, or has a broad network of ambulatory care facilities or franchise offices, it’s important to get “boots on the ground” in the communities in which they operate. Often, the best way to do this is with a “grassroots” campaign – one that delivers your messages to prospective patients or clients at the local-facility level. 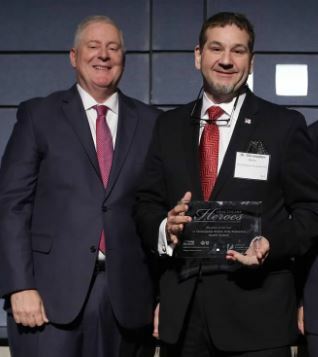 It’s wonderful to get a feature story in a major newspaper in the organization’s home territory, or an interview with the CEO in a prominent healthcare trade publication. But it takes a small-town touch to actually drive people to seek care or a consultation at your client’s facility, or attend a community health event that the local office is hosting or sponsoring. This takes legwork. It can be daunting learning the demographics and characteristics of healthcare consumers in many disparate places, let alone the local media landscape. In addition, smaller regional media are far more likely to use news or materials generated by a local business, quoting a local doctor, than a national or distant company with an out-of-market spokesperson. For these reasons, it’s helpful to enlist the real boots on the ground…the managers of the facilities or franchises themselves. Like Star Trek’s Borg, think of the health organization and its far-flung facilities as a collective, individual entities offering the same services and sharing similar goals. What’s good for one benefits all. They don’t have to “assimilate” patients to thrive, but even a positive media placement for one local franchise can benefit others in the area through increased name recognition. Empower the facilities to assist with their own publicity, and give them the information and tools to do so. This might mean suggesting events or initiatives that have worked in other areas, with tips on how to customize them for their own. It may include creating an online resource center where physicians or managers can retrieve company information and template (or “swiss cheese”) materials they can adapt for their own media outreach. And it might mean providing them with media contact information. Typically, they’d just fill in details like the physician’s or spokesperson’s name, the locality, office address/phone number, and contact information if the media has any questions. Of course, there might be other pertinent fields to be customized depending on the content of the item. SPRYTE has been using templates successfully for our clients for many years. Most recently, we’ve been helping Griswold Home Care enlist its 200-plus franchises to support the company’s messages surrounding its 35th anniversary year. We created several materials that were passed along to franchise owners in an internal marketing webinar, but the letter to the editor has been the one to take off. The letter noted the founding of the company in 1982 by Jean Griswold and its mission to provide empathetic care to keep seniors and the disabled and infirmed in their homes. It also brought home the idea that although their franchise hasn’t been around quite as long, it proudly fulfills the founder’s vision every day, and saluted the caregivers – both paid professionals and unpaid family members – who provide comfort and aid. While the official anniversary was in April, the letter was written as an evergreen that can be used for the rest of the year, and has appeared in newspapers in Delaware, Maryland, Pennsylvania. Florida and Kentucky. The response has been so encouraging, Griswold has begun individually reaching out to franchise owners with the offer to customize and distribute it on their behalf, an option to consider if you have the staff to do it. There are, of course, many ways to conduct grassroots publicity for your organization. When many locations are concerned, this is one that’s proven effective time and again. It gives the media what they most want – locally generated content – and it’s easy to facilitate. And it has the added benefit of reinforcing for your “collective” that the mothership is looking out for them. As healthcare communicators we are always looking for new and creative ways to get our messages out to our desired audiences. One of the fastest-growing mediums in recent years has been podcasting. The 2017 Infinite Dial Study by Edison Research and Triton Digital found that 40 percent of all Americans age 12+ have listened to a podcast at some point. That’s up from only 13 percent 10 years ago. And 24 percent listened to one within the past month. In addition, podcast listeners are active consumers. Edison Research reports that of all audio sources, listeners spend 30% of their listening time on podcasts, compared to 21% on AM/FM radio and 23% on owned music. According to the Pew Research Center, one of the largest podcasting hosting services, Libsyn, reported 3.3 billion requests for downloads in 2015 (most recent year available). That was up from 2.6 billion in 2014, 1.9 billion in 2013 and 1.6 billion in 2012. Why is podcasting so popular? One reason is that people are busy. They just don’t have time to sit and pay attention to the vast flood of media information and entertainment that is coming at them. Podcasts are a practical and convenient means for multitasking individuals to keep up-to-date with information that is most important to them. And they don’t take much effort. Podcast listeners can plug into their latest episodes anywhere they please – while sitting on the commuter train or bus, working out at the gym (treadmill and healthcare podcast – perfect together? ), or doing chores at home. 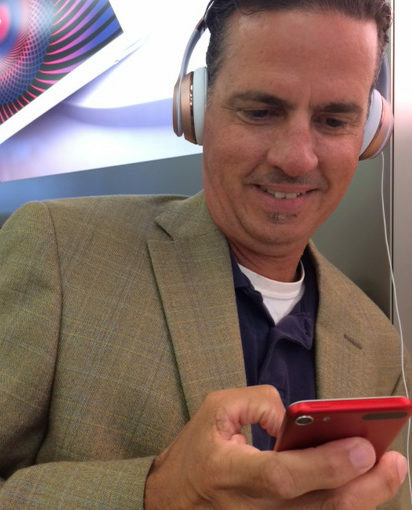 The continuing popularity of mobile devices and satellite radio (the “connected car”) are helping to spur the growth of the podcast market, as more and more consumers are able to access their favorite podcasts via smartphone, tablet or other portable device. The introduction of smart speakers such as Apple’s HomePod, Amazon Echo and Google Home products is another positive development for evolving communications platforms that empower consumers to create their own media mix. From the healthcare communicators’ standpoint, this suggests an attractive opportunity – to have a captive audience for (typically) 30 to 45 minutes so that your unfiltered, uncensored healthcare message can be heard. It’s a unique chance to develop the kind of personal relationship and engagement that blogs, Facebook and Twitter can’t match. Done well, your podcasting platform can help position your doctors, nurses or other healthcare professionals as authorities while at the same time driving traffic back to your website. (Every podcast directory provides a link back to your website, thus you can channel listeners there at the conclusion of each podcast.). One more consideration is that, because of this more intimate level of engagement, podcast listeners tend to be more intent listeners. Midroll, a podcast advertising network, reports that 63% of its listeners purchased a product or service after hearing it advertised on a podcast. It isn’t far-fetched to think that an already pre-qualified listener (one who has made the choice to download your podcast) might be predisposed to visit your hospital or practice to sign-up for a procedure, service, or healthcare event that your podcast has covered in interesting detail. Earlier this year, Nielsen, the prominent media measurement company, announced that it was working with several key clients in testing a platform for podcasting metrics. Currently, the key measurement involves tabulating how many users download specific podcasts from a hosting platform such as Libsyn or iTunes. Nielsen is reportedly looking for ways to gain a better understanding about the time users spend listening and being engaged, as well as individual listener demographics. Nielsen says it hopes to launch its podcast metrics platform toward the end of 2017. For healthcare communicators, this is offered as the “why” you should consider podcasting. In a future SPRYTE Insights Blog we’ll discuss the “how” you should go about setting up a podcasting program. To capitalize, it helps to plan ahead. By creating a calendar of opportunities suitable for your organization, paying special attention to deadlines, you’ll be able to stay atop these programs and plan your nominations in advance. For institutional awards, you can mobilize your workforce to provide testimonials or vote. When entering, it’s vital to follow the online nomination instructions fully, and pay particular attention to the narrative portion, usually the crux of your submission. 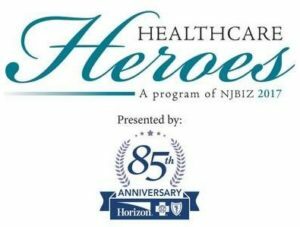 SPRYTE recently spearheaded a regional health system’s nominations for NJBIZ magazine’s “Healthcare Heroes” award. Categories included Hospital of the Year, Educator of the Year, Public Health Hero and several others. We focused on the Physician, Nurse, and Volunteer of the Year categories. We put out the call for prospective nominees, and the client came back with three excellent choices. After nailing down the particulars of each candidate, we set about writing the narratives which, again, would make or break our entries. Don’t hold back. Sometimes the essays must be brief, but we had up to 1,000 words to make our case. There will be much to say about any good nominee, so take full advantage of the space provided. Interview the candidate personally. If you rely on their CV, your submission will sound it and likely fail to garner attention. Find out what makes them tick, the “why” behind the “what.” Why did he or she choose that field, or job? Who (or what) influenced them? Get anecdotes illustrating their compassion, service and empathy. Tell a story. Interview your nominee’s colleagues. At the very least, speak to the person who nominated them, or a direct supervisor. They had a reason for choosing that person. Find out why. Consider including a direct quote in the narrative. Don’t forget references. Sometimes awards forms require one or more. These can be the nominator, a supervisor, an executive of the organization, a professional colleague, or a patient. Let the references know you’re including them and prep them in case they are contacted. Don’t Compete Against Yourself: Keep nominations one per category. Enlist your patients and staff. Rally the troops, especially for organizational awards like Best Places to Work. Use internal communications, social media and e-blasts requesting testimonials, and include a link to comment or vote. Some of these awards are a numbers game, so leave no stone unturned. Have fun. Often, publications name finalists soon after the deadline, then announce winners at a paid banquet later. If possible, the nominee should attend to (hopefully) accept the award in person. Even as a finalist, it’s their night to shine! If colleagues can go, even better. Promote your win. A news release about an award bestowed by one publication won’t be picked up by a competing media outlet, but you can still publicize the victory in the winner’s hometown newspaper, college alumni publication, professional journals, and newsletters of organizations or chambers to which they belong. And, of course, post the happy news on the organization’s own social media channels and website. With some planning, thought and effort, you can take advantage of awards programs to enhance the reputation of your client or organization while boosting morale of their employees. And who doesn’t like to add hardware to the trophy case? As for Healthcare Heroes, our client’s physician nominee took home the big prize, but all our entries are heroes in their patients’ eyes.